With all sorts of disease outbreaks and chronic illnesses happening today, people are looking for alternative treatment therapies to supplement existing western pharmacological methods. The rise of antimicrobial resistance strains of bacteria has also drawn many to find different methods for battling difficult diseases and to relieve symptoms. Side effects have always been one of the problems of common western medicine. Alternative or holistic treatment methods have been proven to be effective and also have less or no side effects, thus encouraging more and more people to search for such methods. 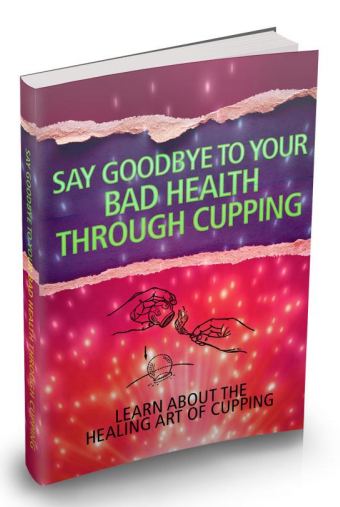 This book will reveal to you one of the most highly sought after traditional Chinese treatment methods besides acupuncture, known as Cupping. Cupping is famous as one of China’s therapeutic methods for treating a variety of diseases and symptoms. While relatively unknown to the western world in the past, currently more and more people are seeking after this great alternative medical treatment method.